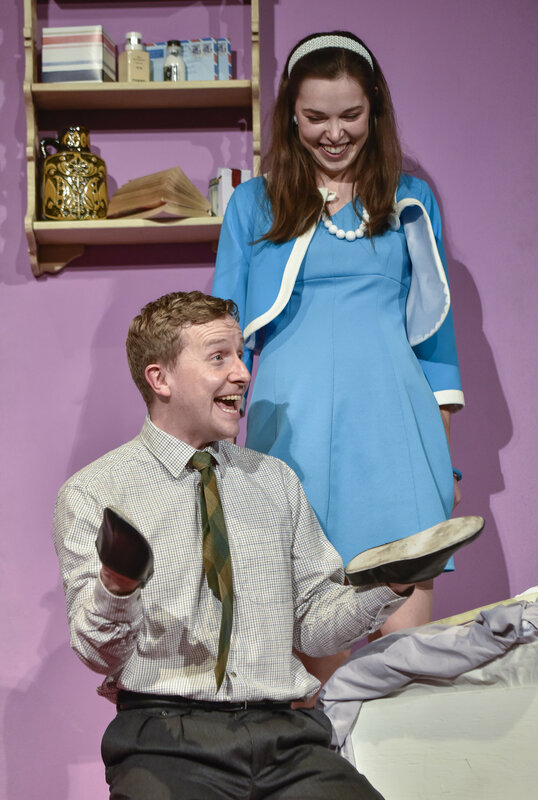 I kid you not there is not a single dull moment to be found in Alan Ayckbourn’s play ‘Relatively Speaking’ which is on at the Oldham Coliseum Theatre* until 5th May 2018. 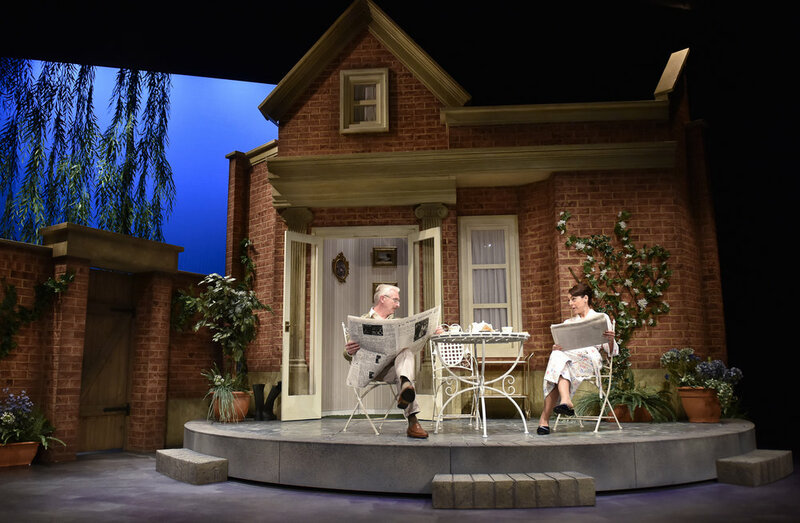 As soon as the house lights dim and the stage is unveiled, Ayckbourn’s characters have you chuckling and cringing and you will rarely stop all through the night. 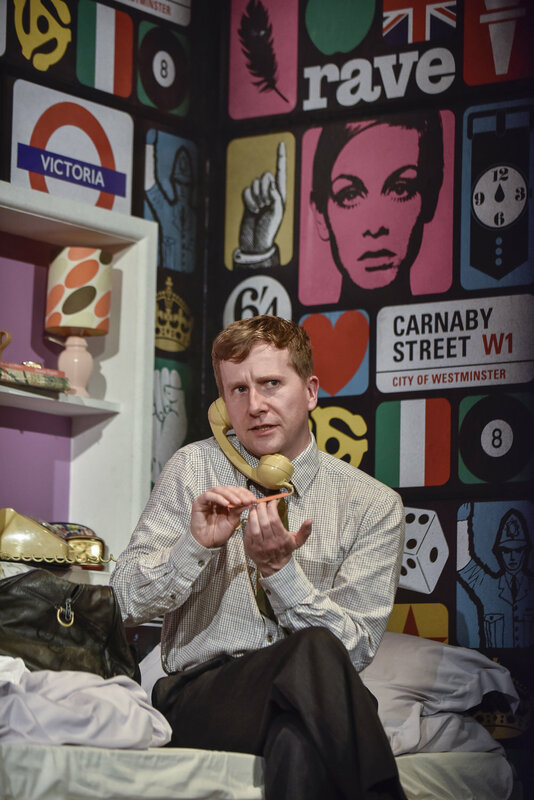 It’s 1960’s London and the young couple whose story we are to know are in for one heck of an emotional weekend. You see, Ginny and Greg believe they are in love despite knowing each other for what most will consider a short while. And, as with most relationships, life has decided to test just how well they really know each other and how much of their past they can handle. This particular Sunday morning begins innocently enough, like most mornings, that is until the phone rings. Deep within a concoction of half truths, anonymous chocolates deliveries and a flower-filled bathtub, suspicion brews in an all-too-amusing unexpected manner barely allowing you to notice just how fast time has flown. Robin Herford directed this wonderful play in such a way that it had me feeling like I was part of a live audience for a sitcom like That’s 70’s Show and I loved it. The fourth wall was causally broken a few times making the audience willing partners in crime and even more invested in what was going to happen next. And although you will be right in describing this as a light comedy, there are some underlying issues present in all relationships being explored making it entirely relatable. Matt Connor (Up 'N' Under, Oldham Coliseum Theatre), Lianne Harvey (Heartbreak House, Union Theare), Crispin Letts (The Open House, Ustinov Studio) and Jo Mousley (TWO, Derby Theatre) did a fantastic job as Greg, Ginny, Phillip and Sheila. And though Greg is loveable I have to say Sheila, in all her grounded aloofness is definitely my favourite character - she is the wife of Ginny's former boss, Phillip. Her curiosity and warm nature gave way to so much madness it is hard to imagine what would have happened if she was a little more cynical and daring. The unmasking of Sheila and Philip's home is a moment I will not be forgetting quickly. Designed by Michael Holt, the open doors of the red brick house, its seemingly luscious back garden and the birds chirping merrily paint a picture of serenity which is fitting for a Sunday morning. However, its interior is not something we are privy to which is almost a reflection of its residents - appearances are after all everything. Instead it is Ginny's colourful, spacious (despite being small), cosy bedroom we are given a peak into right at the start of the play. It is interesting to see what a home can say about its owner be it bare or rammed full with knick-knacks. And it is in these two homes that these two couples uncover secrets screaming to be found.